Electron Jacket - Mens is rated 5.0 out of 5 by 1. 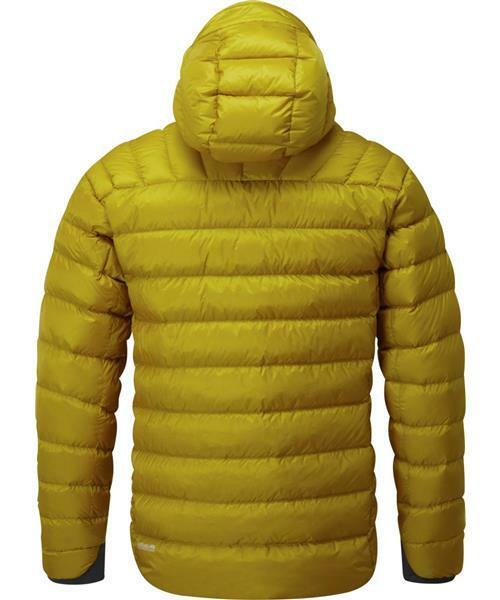 Rated 5 out of 5 by Josh Strauss from Crazy Light and Crazy Warm This jacket impresses me every time I use it. The water resistant Pertex face fabric has been especially nice when it starts to rain or snow because it doesn't soak through to the down right away. I've been in zero degree weather with this jacket with just a t shirt on underneath and I've been comfortable so with a light mid layer on this jacket is good for winters in the mountains. The fit is a little more of a trim fit which I like but still has room for a bigger layer underneath. I can get behind anything Rab makes after this purchase.